Happy Wednesday loves! Can you guys believe that it's already past the middle of June? I don't know about you, but lately time is literally just flying by. I wish it would slow down because I plan on enjoying myself thoroughly this summer. I am such an ankle bootie girl - I even refuse to give them up during the summer. They're probably my favorite thing to pair with cutoff shorts. What do you wear with your cutoffs? 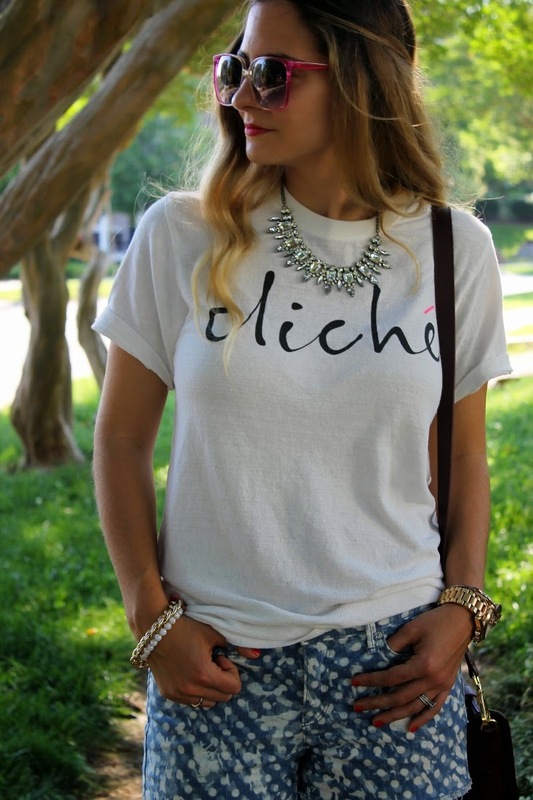 Psssst my Cliché tee also comes in black! I love boots in the summer! They always add a fun edge to any outfit. Hope you're having a good week! I love this! You're such a cutie and this is such a fun outfit! Booties are always your kind of shoe Nikki. Love how you are rocking these with those fun cutoff shorts. It has an easy, Boho vibe too which I love. Totally a Nikki Outfit. Love that!! Booties are super cute but I never know when the temperatures are too warm for them! 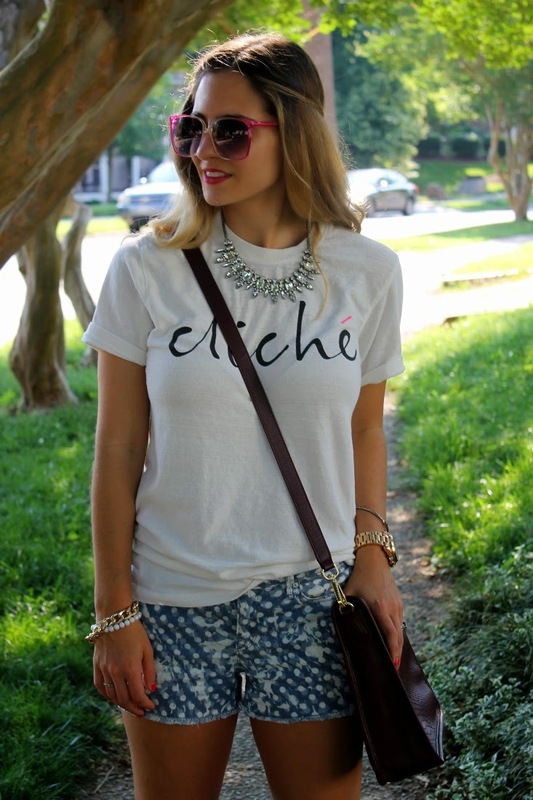 This is a glam-casual look, for sure!